When your restaurant is in full swing, you can't afford to have anything slowing you down. With these 15" x 35" high speed toaster PTFE non-stick release sheets you can offer your customers a faster, more reliable, streamlined service every time! The durable PTFE material prevents food from getting stuck and causing messes - never again will you have to worry about your toaster line running slow due to the clean up of stuck bread. The triple-coated fluoropolymer material ensures a long life of non-stick performance, up to 30% longer than many comparable release sheets. After use, simply wipe these sheets with a damp cloth for a quick and convenient clean up. Exceptionally heat-resistant, up to 500 degrees Fahrenheit, and easy to use, these non-stick toaster release sheets will help to significantly reduce a common kitchen frustration. 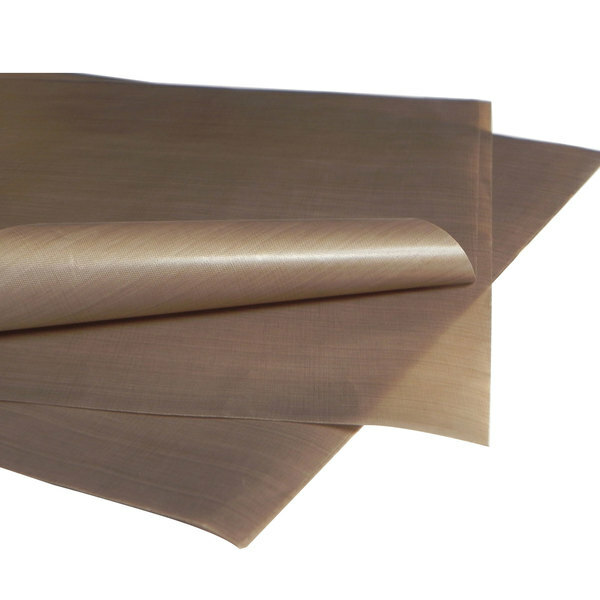 These 15" x 35" PTFE release sheets are sure to keep your operation running smoothly for a long time to come. I highly recommend using these PTFE Release Sheets for a APW Toaster. Great for guests that do not want their bread buttered before it is toasted and it make cleaning the toaster at the end of the night so much easier.